Proleague (SPL) is back for 2014. I have become a bit of a StarCraft snob and think that Proleague is by far the most exciting and interesting StarCraft out there. It’s a bummer that they have changed the time this year so that all matches start at 2AM (at the earliest) for me, but I’ll happily follow along with Fantasy Proleague and by watching VODs. 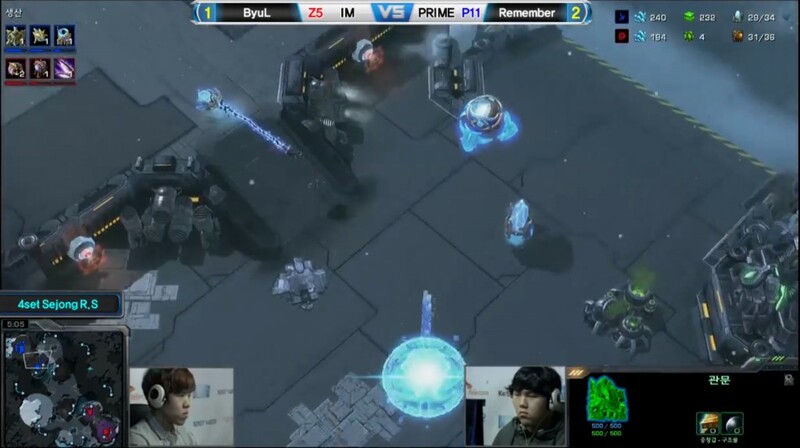 Having just rewritten my Zerg versus Protoss strategy guide, I’m very excited about a game I just watched between IM ByuL and Remember Prime. Played on the new map Sejong Science Base, I think it perfectly illustrates with the type of safe, reactive Zerg style that I had seen before and was recommending for you to try. ByuL opens with a 15 Hatchery, 16 Spawning Pool. He takes his gas at 3:35 (17 supply, after the Overlord), which allows him to get Metabolic Boost for his Zerglings early. He makes 4 Zerglings as soon as the Pool finishes and sends them to scout his opponent. After playing primarily team games with my friends over the past few months, I am getting back into playing 1v1. This time around, I think I’ll be playing Zerg. I admittedly was somewhat lost in how to play out my games, then I remembered that I had a guide on how to do it. Then I read it and realized that some of the strategies were painfully outdated. Here’s an update. As usual, feel free to comment if you have any thoughts or feedback.